The total premium in 2015-16 was Rs 3,760 crore while Rs 4,710 crore was given as insurance claims. Union Agriculture Minister Radha Mohan Singh said that as many as 11,400 farmers committed suicide in 2016. "According to National Crime Records Bureau data for 2016, which is yet to be published, 11,400 farmers committed suicide. In 2015, the number was 12,602," he said in his reply after a discussion in the Lok Sabha on the agrarian crisis. 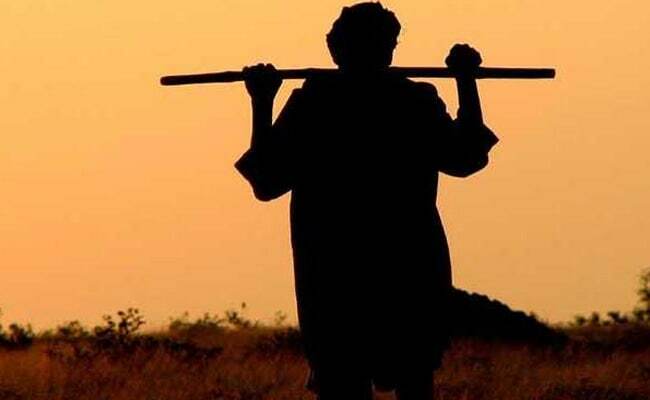 He said farmers suicides could be checked only by increasing their income and the government was taking necessary steps, including increase in budgetary allocations to the agriculture sector. Earlier, Congress member Jyotiraditya Scindia criticised the government for failing to ensure remunerative prices to farmers. The Minister said the Bharatiya Janata Party had promised Minimum Support Price (MSP) for agricultural produce to be 1.5 times the input cost to farmers before the 2014 general elections. He said a premium of Rs 3,560 crore was paid under the crop insurance scheme and Rs 3,548 crore distributed as insurance claims to farmers. Similarly, the total premium in 2015-16 was Rs 3,760 crore while Rs 4,710 crore was given as insurance claims. Responding to allegations of benefitting private companies under the garb of crop insurance, Radha Mohan Singh said: "We are using space technology to solve the problem. We have written to states that they have to decide crops to be brought under insurance scheme. They have to issue tender and set up their own companies if they do not want to give any benefits to (private) insurance companies. The Punjab and Gujarat governments are going to form such companies." In order to save farmers from clutches of private money lenders, he said, the government had allocated Rs 10 lakh crore for farm credit this year, he said. He said the government had taken up various schemes and initiatives such as integrated farming, agro-forestry, deep fishing, Gokul mission, and organic farming to increase farmers' income.